There is something unmistakably appealing about gooseneck lighting fixtures. Their broad shades and slender arms allow them to maintain the perfect combination of rustic charm and modern appeal. This not only allows them to seamlessly blend well with a whole range of décor themes and exterior design, but it also makes them ideally suited for virtually any setting. Combine this with a myriad of color choices, some of which are available for no additional charge, and you have a lighting option that is sure to add a healthy dose of style to your home or business. Each of our gooseneck lights is crafted from durable aluminum, and then powder coated for optimum weather resistance. 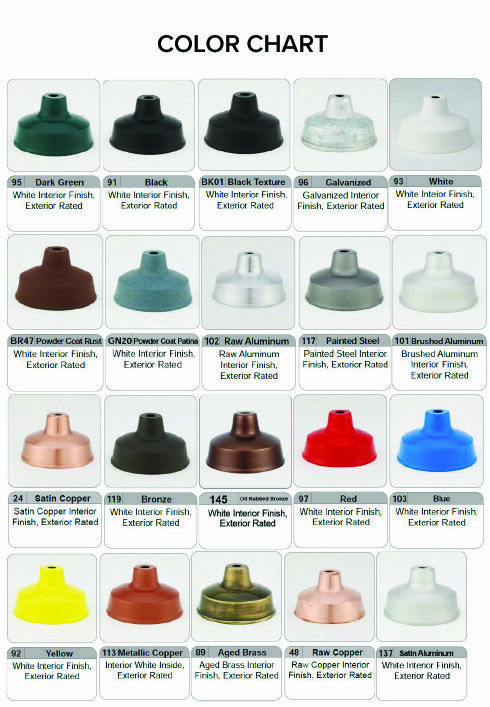 The color is baked directly into the metal, allowing for much higher resistance to rust, corrosion, and fading than with paint alone, so your lighting fixtures will maintain their striking appearance over time, no matter what the weather is like in your area. Gooseneck lights are ideally suited for use as sign lights, since they're able to wrap around signs, poles, and awnings to provide a targeted light directly where you want it. Use multiple stunning lights with bigger business signs, or maintain just one sleek option with your smaller sign. The possibilities for style and functionality options are virtually endless.